Wow download my Gmail contacts to this device. 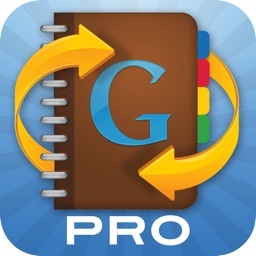 "Download Contacts for Google" (abbreviation:DGC) is a quick and easy way to download Gmail contacts into both iPhone and iPad/iPod Touch devices! It is accurate and efficient. * There is no limit on the number of contacts, and pass the 10000 + contacts download test. 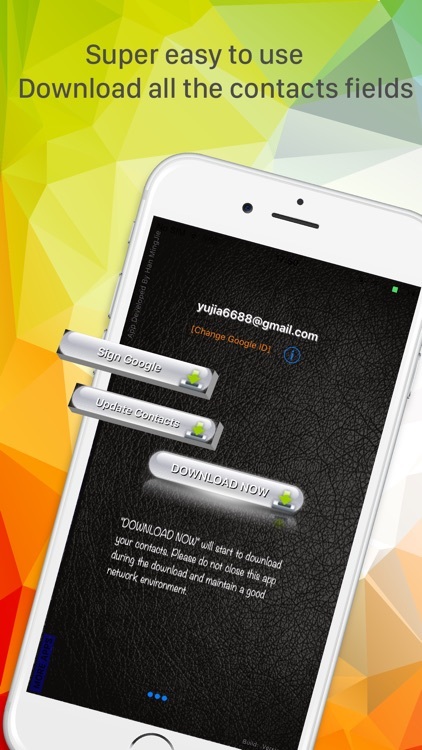 • "DGC" use the newest multi-thread technology to download Gmail contacts. It takes only three minutes to download 2000+ contacts. 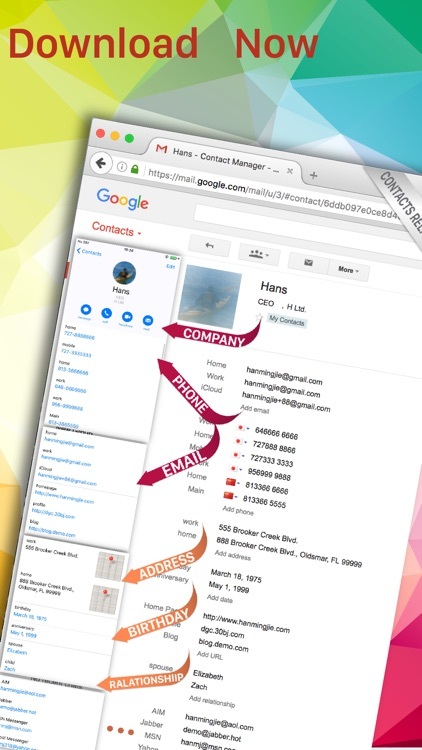 • Download all Gmail contact fields including Photo, Name, Nickname, Title, Company, Notes, Email, Phone, Address, Birthday, URL, Relationship, and Instant messaging. • "DGC" use the newest memory control technology. There is no limit on the number of contacts, and pass the 10000 + contacts download test. 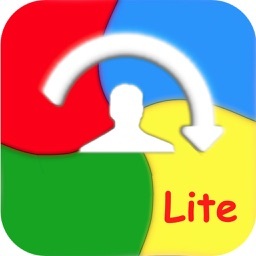 • After you have downloaded the contacts first time, you can use the "update contacts". 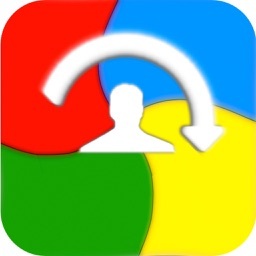 "Update contacts" will find newly added, changed & deleted contacts on Gmail and update the device. This will not change the existing contacts on Gmail. • There are some existing local contacts on your iPhone. When you change Google ID to download the contacts from Gmail,you can select "Delete" or "Keep on my iPhone" with the existing local contacts on your iPhone. 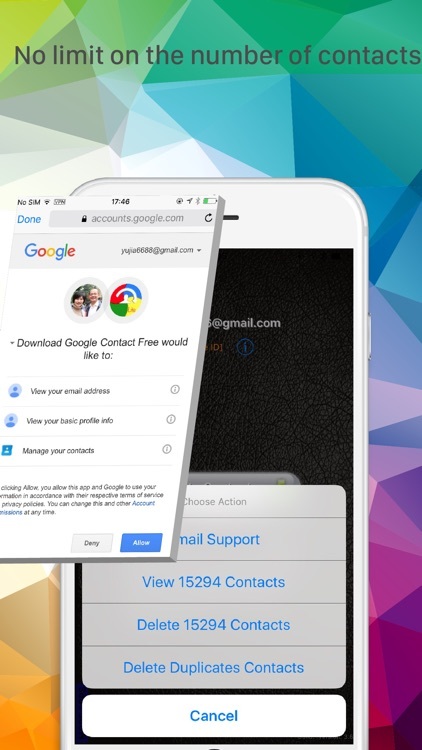 • Option to ignore "Other Contacts" in Gmail so they won't be downloaded to your iPhone. • Delete contacts in exactly the same way (each Gmail contact fields the same). 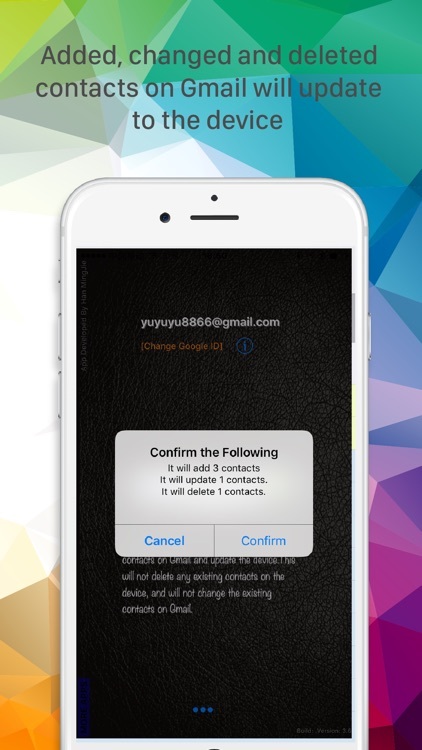 Prevents duplicate contacts in your iPhone (including the existing contacts on your device and the download contacts from Gmail). • When download the contacts, you will see the pictures of the contacts. • You can edit, delete contact, dial number, send email when view contacts. • Your devices' contacts maybe disorderly.Then you can through the following steps. 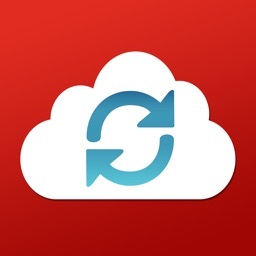 It will download Gmail contacts & groups into both iPhone and iPad/iPod Touch devices! 1. Better protect the security and integrity of the Gmail contacts. "DGC" download function does not change the status of contacts on Gmail, it does not modify, delete or add. The sync function however, will modify contacts on Gmail, after synchronous operation it will modify, delete, and add the contacts on Gmail. If sync operations are not professionally done, it can damage the original Gmail contacts. 2. With "DGC" you can download from a number of Gmail accounts into one device, while sync only supports syncing with one Gmail account. For example, you have a few Google ID ,and with every Google ID you have contacts, You want to download all of the contacts into your iPhone, you can use "DGC" to download these Gmail contacts one by one. 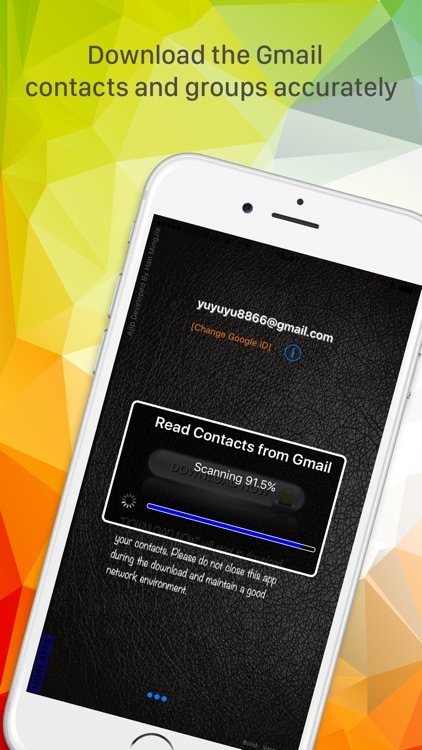 Eventually all of the Gmail contacts will be downloaded into your iPhone. Duplication is not a problem, because "DGC" can delete contacts that are exactly the same (each Google contact fields the same), which prevents duplicate contacts in your iPhone. 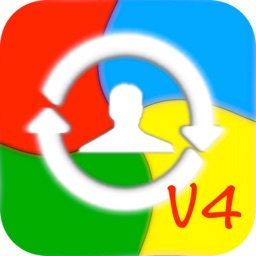 3.Download contacts is easy.It does not need more settings.Sync contacts has a complex settings. • If the contacts are in the CSV files or vCard files, please import them to Gmail first, then use "DGC" to download to iPhone. • Comprehensive support information is available online at http://www.hanmingjie.com/. • If you have any inquiries or questions, regarding this application, please contact us: [email protected] We will get back to you as soon as possible.This app will continue to be upgraded and improved to achieve the 100% customer satisfaction.